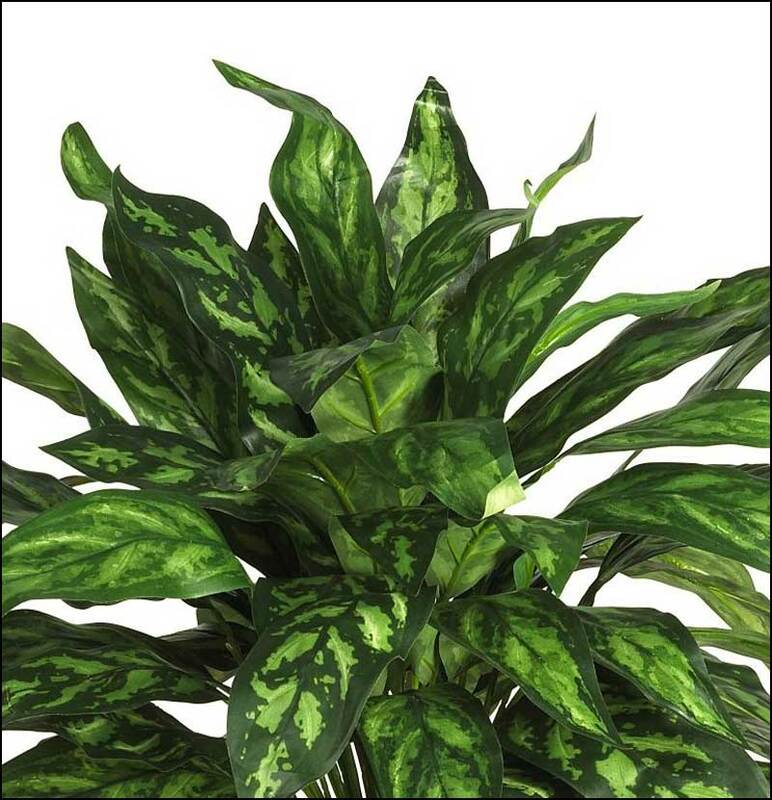 Live a life of luxury with this beautiful silk Chinese Evergreen. 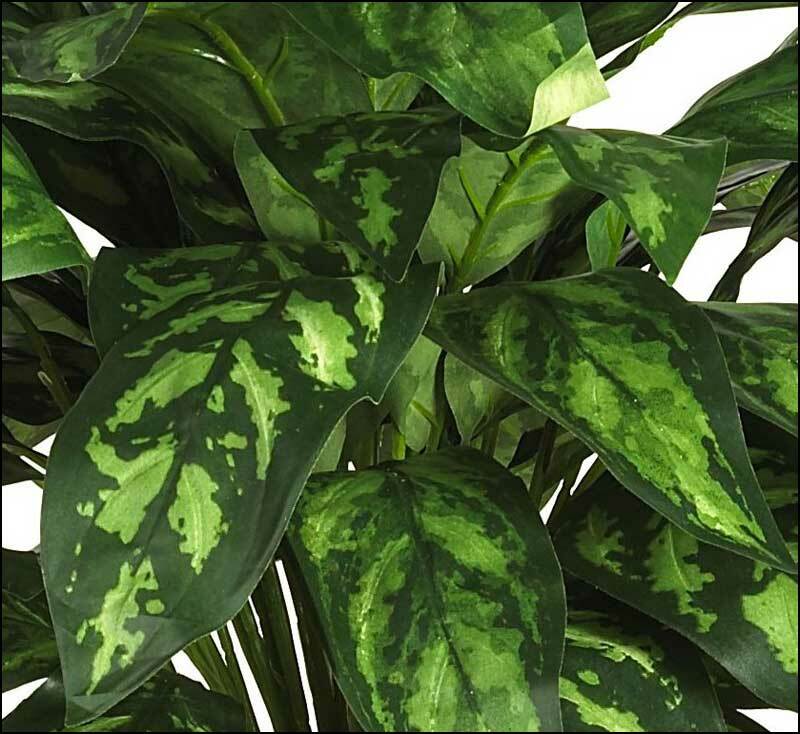 Rich colorful hues and ornately designed leaves create a royal appeal that can't be beat. 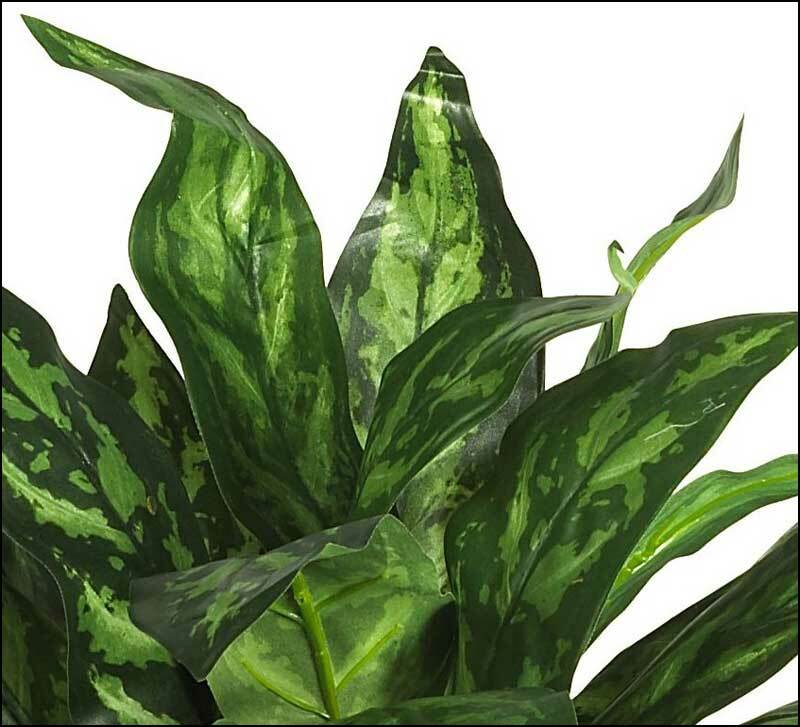 At 31 inches tall, this lovely plant blends well in any home or office setting. 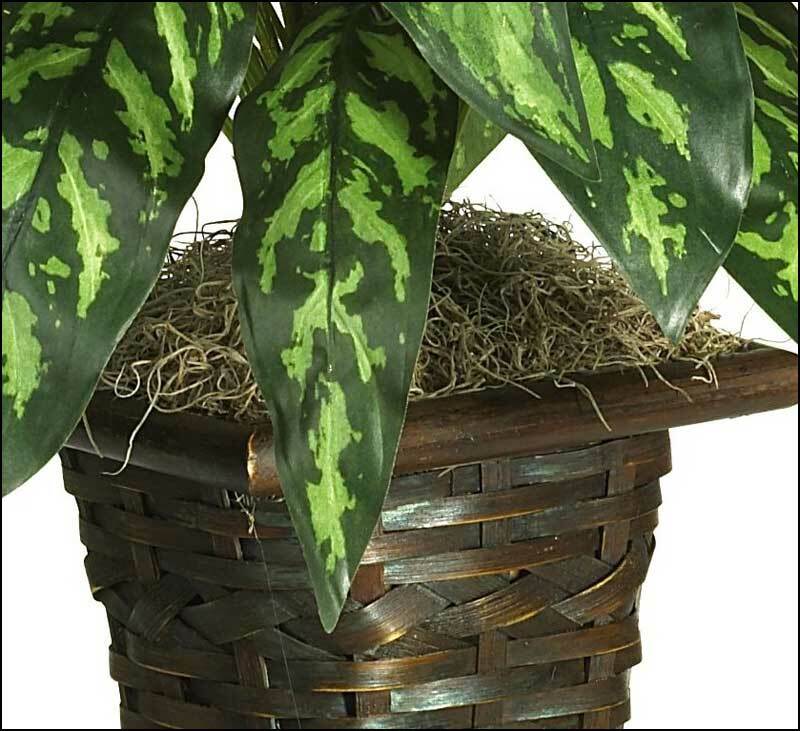 Nestled in a shapely wicker basket bursting with moss, it makes a nice housewarming gift for family or friends. 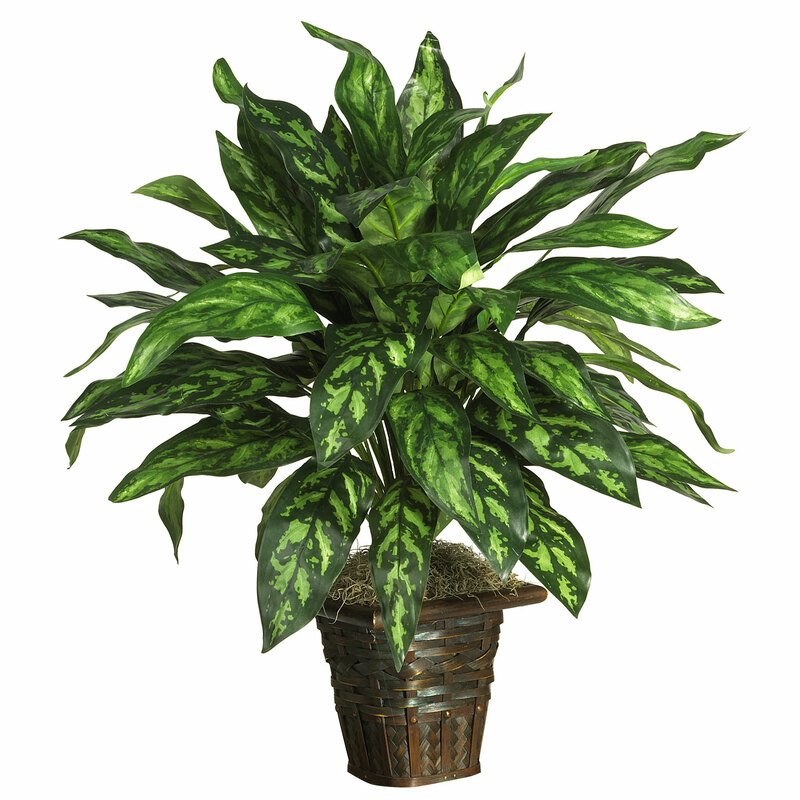 Best of all, there's no watering or pruning required. 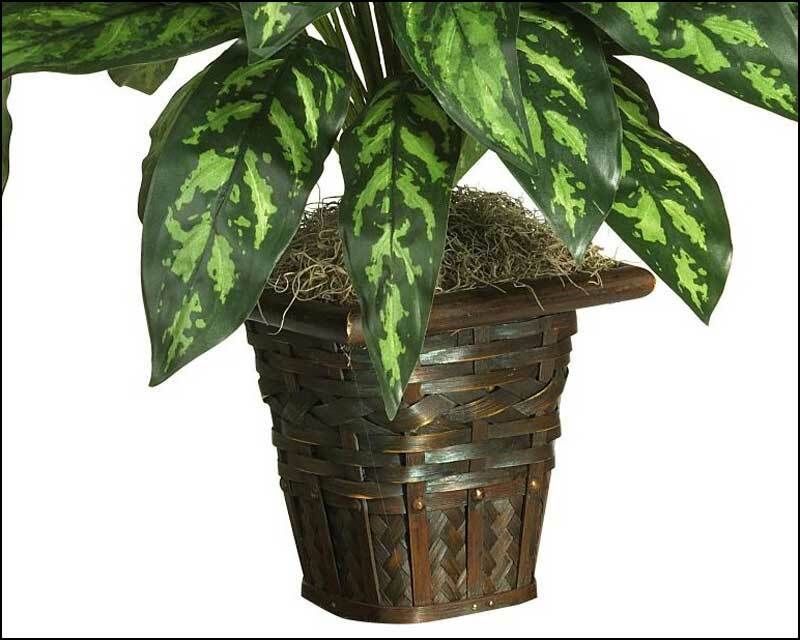 Height - 31", Width - 26"
Pot - W: 7", H: 8"